AT PIE FIVE, WE’RE HERE TO CHANGE THE WAY YOU THINK ABOUT PIZZA. Sure, it’s still round, it’s still sliced, and it’s still delicious, but ours is all about quality. We make our dough fresh every morning, chop garden-fresh veggies by hand, and mix up our own marinara sauce with fresh packed tomatoes. Not only that, but we give you unlimited toppings! 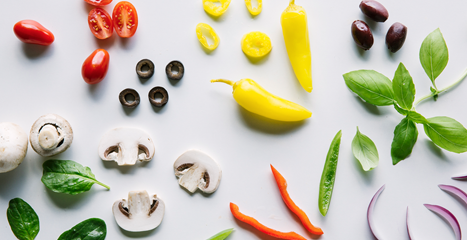 It’s crazy, but we want you to try all our amazing ingredients so you can discover your new favorite pizza. Our craft doesn’t stop at pizza. We’re talking about good ingredients and handmade quality food. And, just because it’s hand crafted doesn’t mean it should take a long time…5 minutes to be exact. Crust us, this is the foundation of any great pizza. You choose between 3 scratch made crusts, fresh rolled in house every day, all day. Oh, did we mention we have gluten free AND cauliflower for those trying to cut back on carbs? Well we do, because crust is also the foundation of any great relationship. “Wow, this place has so many fresh cut toppings. It’s probably super expensive,” is what somebody might say if they weren’t educated about Pie Five. You want 3 toppings? 1 price. You want 32 toppings? Still 1 price. You want 93 toppings? We don’t actually have 93 toppings, but if we did, it would be 1 price. 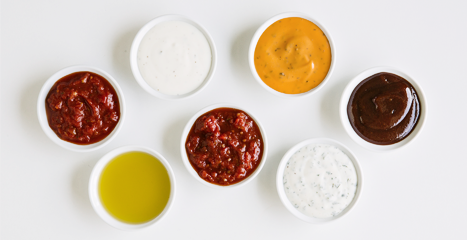 Choose from 7 saucy creations, including our all-natural, preservative free, and naturally fat free Tuscan Marinara and Spicy Marinara made in house every day. They say that the heart wants what the heart wants and if you feel the urge to mix and match multiple sauces, this is a judgement free sauce space. If you’re looking for the real thing, you’ve come to the right place. 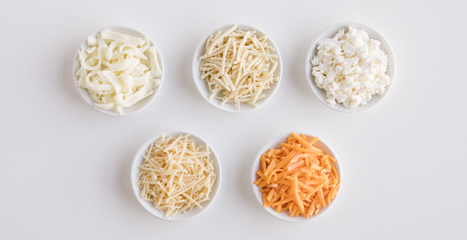 Our cheese is real block mozzarella, always freshly-shredded, and never frozen. We’re all about keeping it real, which means a fresher tasting pizza. Greasy pizza? Not here! The only thing your cheese will be doing is melting beautifully on your pizza masterpiece.